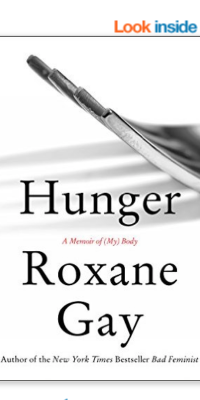 I recently read “Hunger: A Memoir of (My) Body” by Roxane Gay for the Lit League Book club. 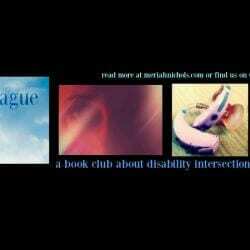 I was the one who chose that book, because I had seen enough friends with disabilities posting on Facebook about how powerful they thought the book was, what a short read it was, and how much they loved it for the intersections they found with disability. With those words (“short!”, “powerful!” “intersections!”), I thought it sounded perfect for the fledgling book club. Hunger does have intersections. Lots of ’em. It intersects race and culture pretty consistently. It also touches on class and privilege. 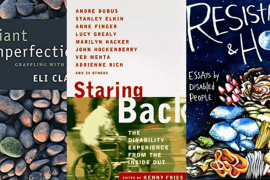 The book is loaded with pieces that you can directly apply to experiences with disability. It covers access: from the helpless feeling of rage for lack of foresight with regard to physical accommodation in chairs, airplane seating, to tables in restaurants (and trying to figure out things ahead of time so that she will know how accessible it is). The existence of self-consciousness about space, striving for invisibility in public because of the the presence of so much visibility, so much difference. It covers the public record piece: that when you are fat, your body becomes fodder for public concern and conversation, people always having your “best interests” at heart. That is precisely what happens with disability. Backhanded “compliments” like, “don’t say that about yourself” (similar to, “but I don’t think of you as disabled!”) are delved into, as is sexuality – denying oneself kindness and gentle touch, by dint of thinking ourselves unworthy. And violence, of course there is violence: violence against the fat, easily relatable by women with disabilities, as most all of us have been sexually abused at some point in our lives. The book is full of snappy soundbites, powerful little nuggets of truthful goodness. I wanted to like this book. I really, really wanted to like this book, not just because a lot of my friends liked it, but because the author looks like someone I would love in real life. But I didn’t. No way around it: I just did not like her writing style. I had a difficult time making my way through the simplified, choppy looping and repetition. While I like many of Gay’s soundbites (so tweetable! 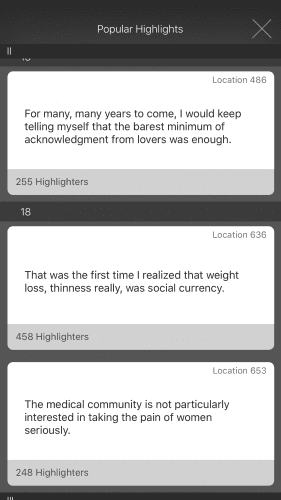 ), her writing style is not the form that works best for conveying messages to me. 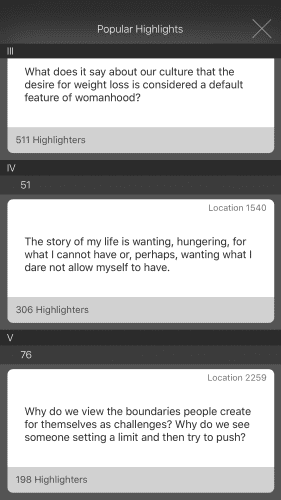 I am a sucker for prose. When I dug open Madeline L’Engle’s Do I Dare Disturb The Universe? after Hunger, I felt like I had stumbled, gasping and dehydrated, into an lake of shining, beautiful, shimmering words. L’Engle’s work is far and away what I want to be reading, but I’m glad that Gay’s work is out there for people that will resonate with her style. 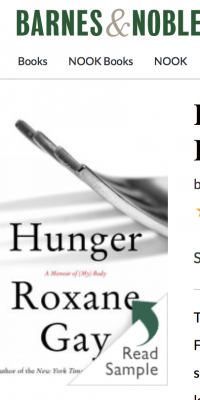 Some people have really loved Hunger: A Memoir of (My) Body. While I loved some of what Gay has to say, and while I appreciated her detail on the experience of being a fat person in America (I am definitely going to be more thoughtful about chairs, booths and tables), I did not love this book. Share book reviews and ratings with The Lit League, and even join a book club on Goodreads. 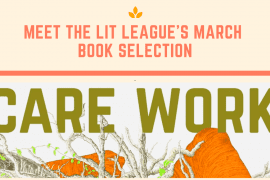 The Lit League Poll for September’s Book Choice: Happening Now!